February has been dubbed “relationship month” and I’m a fan of the festivities that go with it. I love that we get to celebrate relationships and love and intimacy. But, to be honest, Valentine’s Day in our home, at the moment, looks a lot like every other day. So I’ve made it a point to make sure that my time alone with Hubstopher is extra special. Yep, I might even wear lip gloss to bed. Pretty pajamas and smooth legs aside, smelling good and having fresh breath are always a priority! Bad breath can be such a buzz kill. But hey, since it’s February (and also National Fresh Breath Month by the way) rather than getting in a twist about bad breath, it’s the ideal time to treat the tongue to a fresh breath fix. Experts say the tongue is often the cause of bad breath, and recommend daily cleaning as part of an effective oral care routine. Seriously though, when last have you intentionally cleaned your tongue? Exactly. When it comes to bad breath the tongue is often the culprit. Looking good and smelling sweet are important factors when I schedule in some alone time with my love. (Yes, we have a lot of kids and literally have to schedule our quality time). I want to look good for him! And I want to make sure that the garlic roll I devoured an hour ago doesn’t come back to haunt me when I’m whispering sweet nothings in his ear. This is why I love the Sunstar GUM Tongue Cleaner, you guys! It has a brush on one side and scraper on the other for maximum effectiveness. 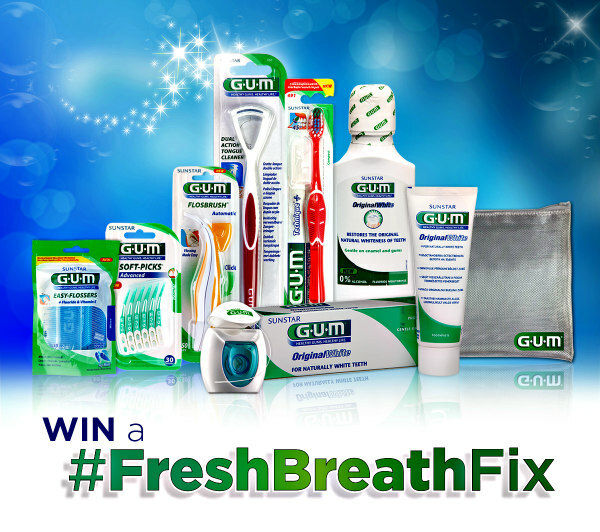 Pair this with the unique GUM Technique Plus toothbrush (designed to provide advanced cleaning with its quad-grip handle), some GUM Original White floss and GUM Original White mouth rinse and you’re good to go! Does this sound like something you need? 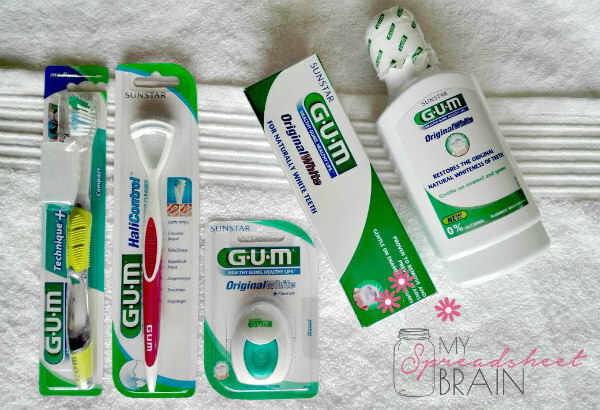 Well Sunstar has partnered with me to give one My Spreadsheet Brain reader an awesome Sunstar GUM hamper worth over R600, packed with all the oral care tools you need for a healthy mouth and fresh breath. 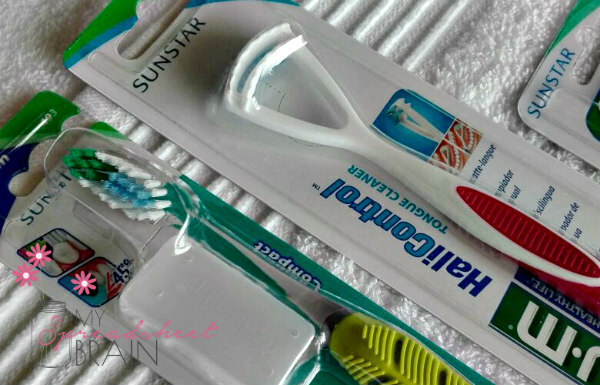 Each kit includes a Sunstar GUM Tongue Cleaner, plus a toothbrush, floss, interdentals and Original White paste and rinse for a naturally brighter smile. Use the Rafflecopter below to enter. Winner will be announced on my Facebook page, so make sure you’re following me there. Can husbands and wives owe each other money? 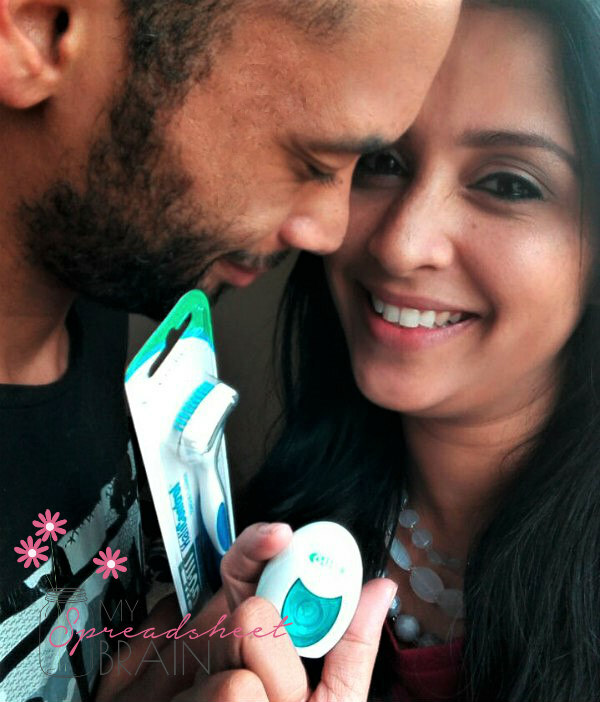 My husband is obsessed with healthy teeth and gums. and having fresh breath.